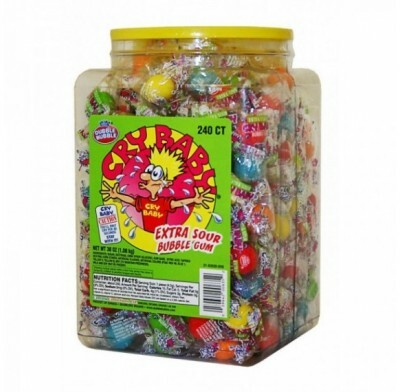 Cry Baby Sour Gumballs, the incredibly tangy and sour gumballs that are sure to dazzle your taste buds. Cry Baby Sour Gumballs is a tearjerker bubblegum that will certainly have you crying for more. Packaged candy comes 240 pieces per jar.